He swung the chainsaw wide over his head. The machine's chat-chattering roar deafened and disorientated me. Dark red blood slid down his arms and through the flickering strobe light I could see him edging towards us. Blind panic coarsed through the group and, realising the way we had entered was blocked, the only way out was past him. But this was no Deep South US horror movie, nor was it a chilling nightmare, it was taking place at a family-run farm in West Sussex. In reality we were in no real danger at all, having volunteered ourselves for the torments of Tulley Farm's infamous Shocktoberfest Fright Night. A month-long festival, hosting 18 Fright Nights in total, shock, scare and horrify visitors to the farm during October. 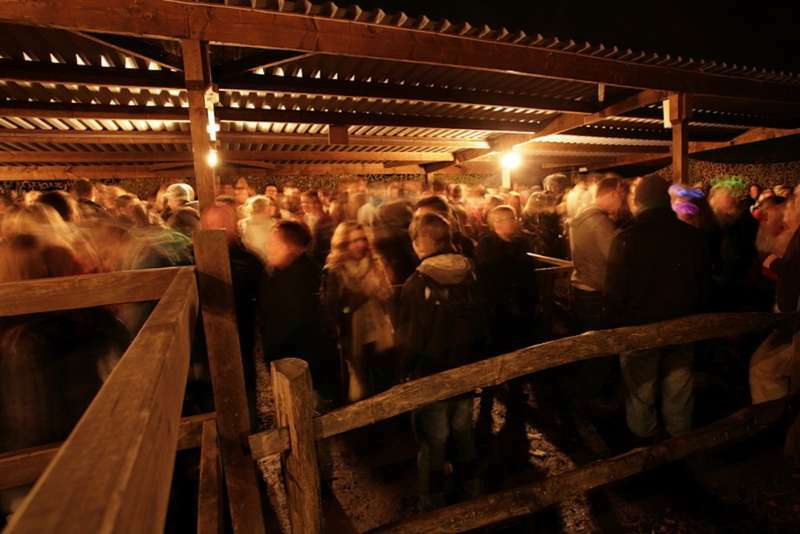 It's all in the name of entertainment – Tulley's Farm has been voted the UK's most popular Halloween event for years. So what's all the fuss about? Boasting attractions like the Creepy Cottage – watch out for the witch; the haunted cellar – where zombies are in residence; and the twisted curtain maze with the freakiest clowns I've even seen – it's safe to say you can prepare yourself for the fright of your life. Obviously, it's all a bit of fun and the more scared you act, the more you screech, the more the models (yep, they're not real) will torment you. With people popping out of hidden tunnels and chasing you through haunted houses it's a terrifying yet entertaining night that will have you shrieking for hours on end. Back in the blood-spattered room with the chainsaw wielding psycho heading for us, I'm afraid to say I pushed my companions, dived through his legs and made a run for it. Luckily, I lived to tell the tale. Tulleys Farm hosts a whole range of events at Halloween for all ages. Fright Night tickets cover a range of attractions, from £9.95 for park entrance only to £60 for a VIP Extreme Pass, which offers unlimited scares. For families with young children, Fright Night is just too chilling and under-12s are not encouraged, but the good news is Shocktoberfest also offers daytime events for children and young families. Find out more online here.